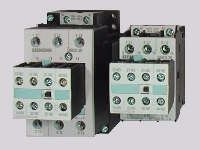 Stocking distributor of Siemens relays, contactors, motor protectors, limit switches, fuses. Siemens offers a full line of industrial control relays. 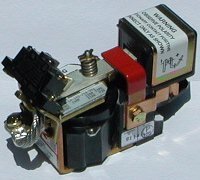 Shown here is the siemens 3TH4 series relay, which features built-in auxiliary contacts. A miniature version is also available. 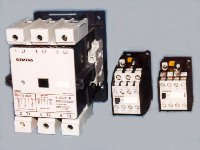 Click here for information on control relays and photos. 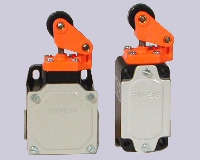 Click here for information on safety relays and photos. There is a Siemens motor starter contactor in all sizes up to 500 horsepower. Note that all connection terminals include safety covers to protect service personnel. 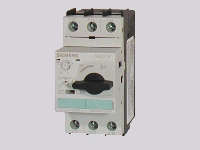 Siemens overload relays are dial-adjustable and do not need additonal heaters. They are "class 10" meaning they will trip in 10 seconds on a locked-rotor condition, thereby greatly increasing motor protection. Click here for information on 3UA5000 overload relays - photos. Click here for information on 3UA5200 overload relays - photos. 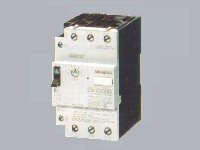 Click here for information on 3UA5400 overload relays - photos. Click here for information on 3UA5500 overload relays - photos. Click here for information on 3UA5800 overload relays - photos. Click here for information on 3UA6000 overload relays. Click here for information on 3UA7020 overload relays - photos. siemens limit switches set an industry standard for ruggedness and durability. The 3SE31 series have cast aluminum housings for rugged durability. Information on limit switches and photos. Information on the updated 3SE2 limit switches and photos. Siemens motor circuit protectors provide complete motor protection. They consist of a circuit breaker device with thermal and magnetic trips, plus a built-in adjustable motor overload. 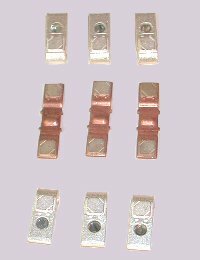 Most imported machinery includes siemens DIN Standard fuses as shown here. Type 720 contactors provide an excellent method of DC power switching. They are available in single-pole, single-pole double-throw, and also in reversing versions. 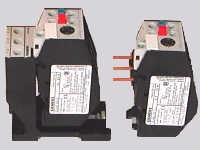 Click here for information on Type 720 DC contactors. Repair kits are available for for the older 3TB and 3TF contactors. Click here for information on 3TY6 contact repair kits for 3TB contactors and photos. Click here for information on 3TY7 contact repair kits for 3TF contactors and photos. Control relays are available in a new compact format, in 4 pole and 8 pole versions. 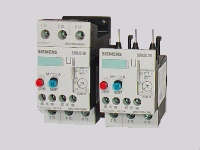 Click here for information on Siemens Sirius control relays and photos. These contactors are available up to 75 horsepower and will soon be available in larger sizes as well. 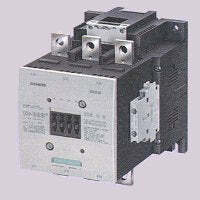 Click here for information on Siemens Sirius motor starter contactors and photos. These contactors are available up to 400 horsepower and also have "vacuum bottle" versions for greatly increased lifespan. Click here for information on Siemens Sirius larger size motor contactors and photos. Siemens Sirius 3RU1116 plug-in overload relays and photos. Siemens Sirius 3RU1126 plug-in overload relays and photos. Siemens Sirius 3RU1136 plug-in overload relays and photos. Siemens Sirius 3RU1146 plug-in overload relays and photos. larger sized electronic overload relays and photos. motor circuit protectors provide complete motor protection. They consist of a circuit breaker device with thermal and magnetic trips, plus a built-in adjustable motor overload. Click here for information on Siemens Sirius 3RV1011 Motor Protectors and photos. Click here for information on Siemens Sirius 3RV1021 Motor Protectors and photos. Click here for information on Siemens Sirius 3RV1031Motor Protectors and photos. Click here for information on Siemens Sirius 3RV1041 Motor Protectors and photos.